I've got a lucky treat for you guys today... one of my very first (and still one of my favorite!) 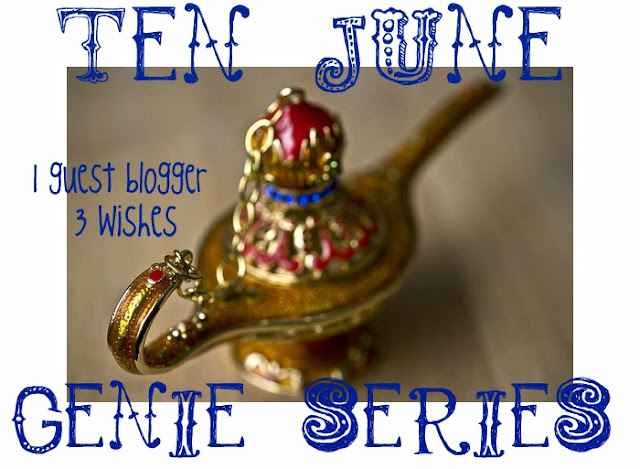 blogger friends, Megan from Honey We're Home, is joining us today for the Ten June Genie Series! So tell us, Megan... if you had any three wishes, WHAT would you wish for?! I love it that Michelle let me dream a little with her 3 wishes series! Wouldn't it be fun to get to live these dreams in real life?! First up for me would be to have a personal chef at my disposal, to be able to whip up whatever dish I desired, and who would be able to make the dishes really healthy too! Finally, bangs, like hers! I have two cowlicks smack dab in the front of my hairline which makes wearing bangs nearly impossible to pull off. I've always admired bangs on other women! My top wish would be to have a beach house to spend time in with our family and friends. 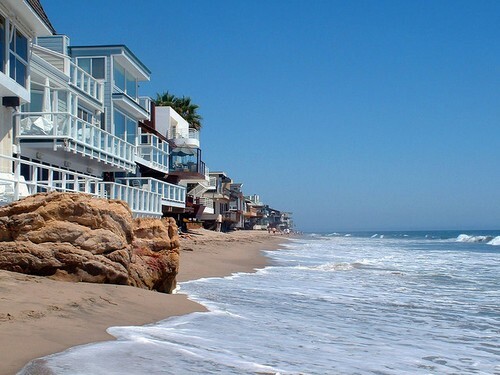 I absolutely adore the beach, the ocean, and the casual feel that a beach house brings. I'd be very happy here! Thanks for having me Michelle! If you haven't checked out Megan's amazing blog, Honey We're Home, get on over and say hi! oooh a beach house would be amazing! and bangs are over rated. you are beautiful the way you are! and i had the same exact wish number 1 when i did this... SAME EXACT!!!! great minds! Oooh...a beach house and a personal chef that looks like that? Who could ask for anything more!...well, maybe an invite from Megan?! The beach house and chef are key! The bangs, I totally think you could pull off. I also have major cowlicks and my stylist showed me the trick is to blow dry in the opposite direction immediately after getting out of the shower. I lasted until I was a mom and now do without since it was kind of high maitainence! Great list, megan! I'm with you on ALL of them! And Michelle, your new vanity is perfect...love the color! And you'll be so much happier knowing you didn't spend a small fortune on it! I am in the same boat with Megan on the bangs! 2 cowlicks = 0 bangs and 0 fun. I actually just wrote about that on my blog this morning, ha! What a fun concept for a series. Personal chef would be at the top of my list too! And we could all get bangs before hitting the beach and being served dinner by Curtis. I am in!! Ohhh...great wishes! I have always dreamed of having a beach house one day and a personal chef would be fabulous. And if that chef happened to be Curtis, well then, I'd wonder if I died and gone to heaven haha! ohh!! I second that Curtis Stone request! He and his dishes are dreamy! And yes a beach house sounds divine! Amazing wishes, Megan! A beach house would be awesome! I'd LOVE a beach house too! I'd like all of those things too! Do you think it's possible to have a personal chef that can also give massages and pedicures? oh yes, i definitely agree with all three wishes!! a beach house would be a dream...and i would love sushi on a daily basis! great idea!! i would love a personal chef... and a beach house sounds heavenly!! I dreamed of a beach for years too! Then I got sent to Los Angeles for work and rented one Just south of Santa Monica (instead of staying in a hotel). It wasn't anything like I dreamed it would be and was such a disappointment. Constant crowds combined with cold, windy marine layer Weather 90% of the time left me wishing it was a secluded beach In Hawaii. Good choice with Curtis, I can tell you he is as wonderful in real life as what he is to look at. Such a nice and down to earth guy! Sonoma, San Fran and Scary Streets... Oh My! San Francisco Blogger Meet Up! Secrets From A Stylist Season Two STARTS TONIGHT! Lacey Placey Pillow Giveaway Winner! !